In a large measuring cup, mix together ground coffee and water. Cover with plastic wrap and allow to sit for at least six hours or overnight. Pour coffee through a sieve with a paper coffee filter. 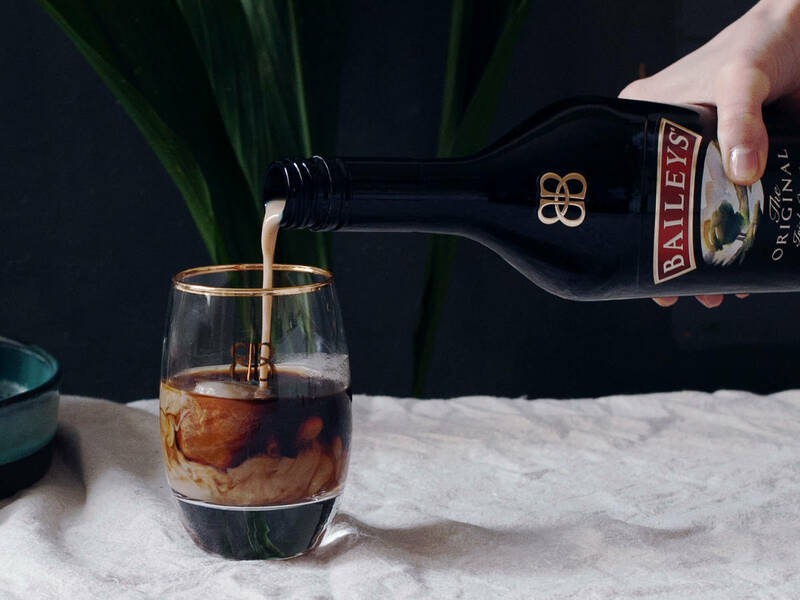 Pour coffee into glasses for serving and add Baileys. Stir well. Enjoy on ice!